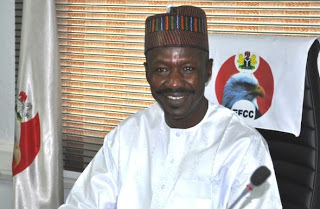 EFCC acting chairman, Ibrahim Magu, to appear before senate for second screening – Royal Times of Nigeria. Acting Chairman of EFCC, Ibrahim Magu, is scheduled to appear before the senate tomorrow Wednesday March 15th, for screening. This was shared on the senate official twitter handle. The senate had rejected Magu’s nomination on December 15th last year following a a security report by the DG of the Department of State Services (DSS), Lawal Daura, that accused Magu of high-handness and alleged involvement in some corrupt practices. President Buhari resubmitted Magu’s name for screening to the senate in January this year.